Jim Conrad was 47 when he was downsized from the company where he had worked 24 years, supervised over 150 people, and managed close to $100 million in assets. When a foreign firm bought the company and laid off middle management, including Conrad, he reinvested his retirement savings at the same time that he started pursuing a new career in financial services. 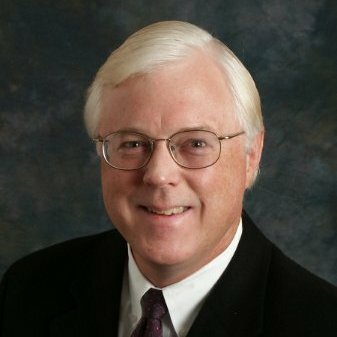 Today at age 58, Conrad is a Bank On Yourself Authorized Advisor. This time-tested strategy (it has been around for over 100 years) uses specially designed whole life insurance policies to build wealth without the stomach-churning ups and downs of the stock or real estate markets. Like Pamela Yellen, Conrad tested the method with his own savings. The result has been a steady increase in his wealth with no volatility. Conrad has worked professionally in financial services for 10 years. He switched to exclusively working with Bank On Yourself clients about four years ago. He first heard about the strategy about five years ago. He learned that Bank On Yourself uses dividend-paying whole life policies to create a personal source of financing. At the time he did not know much about the specially designed whole life insurance policies that form the basis for the Bank On Yourself strategy. That was before Yellen contacted him and invited him to join her mastermind group of advisors. 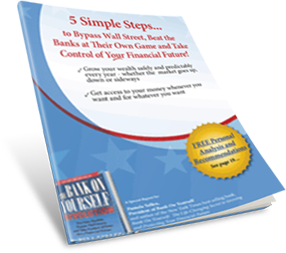 The Bank On Yourself concept has been drawing a lot of interest since the stock market crash of October 2008. Yellen’s book was a #1 USA Today bestseller when it was released last year and recently hit No. 3 on the New York Times bestseller list for financial books. Although recent stock market gains have been impressive, there have been days of heart-stopping losses like the market’s May 6 plunge of almost 1,000 points followed by a recovery of 700 points. Many people remain worried about the overall economy, high unemployment and government spending and fearful that inflation will come back “with a vengeance,” Conrad says. Today Conrad, like his clients, can sit back and watch the ups and downs of the stock market with the disinterest that comes from knowing their money is growing no matter what.